About Roger The "Magic Man"
Roger Lopez with Black Platinum Illusions, LLC has been performing advanced card magic for over two decades. His unique performances have been seen by thousands of satisfied customers and by professionals like World Card Expert De'vo Vom Schattenreich, 18 Time World Billiards Champion Mike Massey, ITF Tennis Champion Amir El Bayoumy and 7 time World Record Holder Florian "Venom" Kohler! It's not just about the magic though with Roger. His personality and charisma make everyone feel at ease and comfortable. He's a true performer at the highest level. When you hire Black Platinum Illusions, LLC you are booking the life of the party. Someone who will both perform at an advanced level as well as interact well with your guests. Roger Lopez is the complete package. 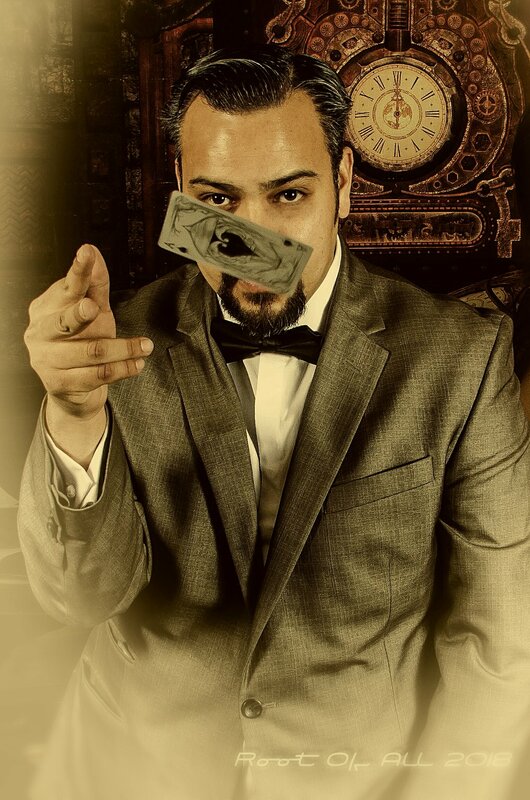 He brings people together with his sleight of hand abilities and intriguing performing style. It's unique, it's passionate, and it's really great entertainment! Currently Roger is a member of The Society of American Magicians, and The Mile High Magicians Society. He is considered a world card expert, and Roger was named Top Magicians Denver for 2017 and 2018.